An Interview With Mr. Proportion, IFBB Pro Francis Benfatto. Bodybuilding fans typically fall into two camps: those who love mass and those who are more interested in aesthetics. Of course some bodybuilders combine both attributes but more often than not one quality tends to predominate. When we talk mass monsters it is not too hard to go past Marcus Ruhl and Dennis James. Although these men have massive amounts of balanced mass, they are often criticized for their overall shape. Some see them as too big. On the flipside there are past champions Lee Labrada and Frank Zane, men known for their terrific shape and attention to detail. Both brought flawless, well-balanced physiques to the stage each and every time. 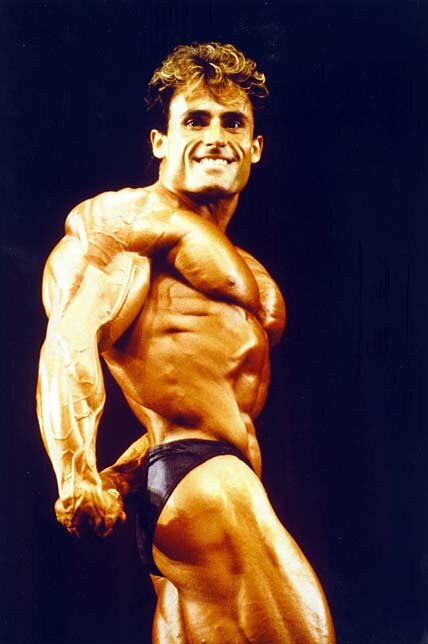 One man who definitely belongs in this category is 1982 Mr. France and long-time IFBB professional, Francis Benfatto. Known for his perfect presentation and stylish posing routines, Francis has made it his life&apos;s work to formulate the ideal approach to achieving an effective blending of size, cuts, balance and conditioning in both his own physique and for those he trains. His success is evident. In 2006, after 13 years of retirement, Francis, at age 48, again took to the stage - at the Australian Grand Prix - with a physique that, along with the shape he is famous for, showed better conditioning and size than he had ever achieved before. And this is saying something considering his track record as one of the sport&apos;s best representatives. In fact, such was Francis&apos; amazing shape at the 1990 Mr. Olympia that Joe Weider himself signed the relative newcomer to a two-year contract and said that 1991 would be his year. Alas, Francis did not win the following year, but still placed a respectable 7th despite the judging criteria favoring massiveness over shape. This was sad for Francis because in terms of aesthetics he was up there with the very best. Consequently in &apos;92 and knowing that he would again be overlooked, he lost all interest in the sport that had given him so much. He says his Olympia showing that year was his worst yet. In &apos;93 Francis entered the Arnold classic and the French and German Grand Prix&apos;s, but by then his disillusionment was obvious. He retired that year. "I won because of my conditioning and my symmetrical body. I learned this lesson early on - if you are ready like no one else, you can beat anyone. I realized that quality is better than quantity. Thus, it&apos;s better to be well defined than huge." Since then it has been win after win. In 1985 he won the Mr. Universe as a middleweight and in &apos;87 took second in the Mr. World in the same weight class. 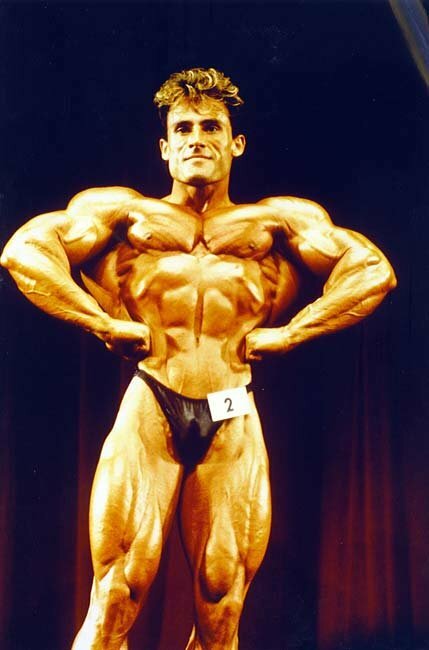 It was then that he turned pro, placing in the top ten in his debut at the 1988 IFBB French Grand Prix. When his pro career first ended in &apos;93, Francis continued training and experimenting on himself and others with different training techniques and practices. Through his role as an expert trainer he has helped thousands of people achieve their ultimate potential. In recent years Francis has distilled his teaching experiences and knowledge base into a revolutionary training system: the A.R.T systemTM. Along with this he has developed his own unique line of bodybuilding supplements. With his training system and new product range we can probably expect to see Francis bigger and better in the very near future. Stayed tuned. Francis discussed his training and nutrition practices, along with his career as an IFBB pro and his amazing comeback at age 48, with me recently. Enjoy the interview with one of bodybuilding&apos;s &apos;better balanced&apos; men. [ Q ] You were in magnificent shape for your 2006 bodybuilding comeback. Why did you decide to compete once again? Thanks for the compliment. My decision to compete once again came during some exhibitions I was doing in South Africa. I got motivated during the process of getting in shape for these appearances. My body response was good and looking at the pictures I saw a possibility to compete again, then I decided to do a comeback but not an ordinary one: my goal was to do the best comeback ever. I wanted to reach my full potential at 48 years old, which was unique in Bodybuilding history, so I achieved what I set out to do. [ Q ] How long did it take to get into competition shape for Australia and how exactly did you achieve this, training and nutrition-wise? My nutrition plan started with four solid meals, plus a post-workout protein-drink and bedtime protein drink daily. My supplements were added to meal one and four - these were a combination of vitamins, minerals and amino acids. I also used Energy Express before my training to increase my mental and physical capacity and this formula will be soon released and will complement the BENFATTO NUTRITION range. In total I consumed an approximate value of 3500 calories per day. Phase 1 lasted around 20 weeks and during this time my weight went up from 87 to 99 kg of lean muscle. Then I started Phase 2 by reducing significantly my daily calories - principally the quantity of carbohydrates in each meal. During this time I kept a close check on my condition. To regulate my food intake according to my progress it was very important to make sure that any drop in bodyweight was a result of better conditioning and not at the expense of muscle, hence the need to constantly monitor my condition. In total I consumed an approximate value of 2000 calories during Phase 2. It lasted around nine weeks during which time my weight went down from 99 to 90 kg of sculpted and defined muscle. With Phase 3 I reduced my carbohydrates drastically in order to reach a point of ultimate definition. For approximately 10 days, I dropped to approximately 1000 calories and during this time my weight went down to 86 kg shredded. My strategy here was also to prepare my muscles to be in a state of ketosis to ensure a successful carbohydrate loading for approximately three days. After the loading phase my weight went up to 90 kg and I even managed to be fuller and heavier at the evening show by drinking more water, especially during my warm up. I had four different training programs during this seven-month preparation sequenced in a progressive order. In fact I used the A.R.T SystemTM, which means Auto-Regulation-Training. One of the principles of the A.R.T SystemTM is to use each training program as an evaluation test to verify, observe, perfect and change when necessary. For instance, each training program served as reference or base to work from and create a more appropriate one. Training The Shoulders With The A.R.T. System. Because using only heavy weight will bring you limited results, the best is to learn a new and effective way of training - A.R.T System (auto-regulation-training). [ Q ] Were the training and nutrition programs used for your comeback any different to the one you used in the late 1980s early 90s? If so, what were the differences? For instance, to improve my overall shape I had to know at which level I was at present time, therefore I did a physical evaluation test to obtain precise indications towards my muscles performance for Strength, Power, Strength of Endurance and Endurance of Strength as well as a precise indication towards my Muscular Control and my Physical and Mental capacity during effort. Therefore I could progress so much, mostly because I knew which category of muscle performance I had to improve. I could create my first training program according to my muscle performance, then I organised specific training methods to improve them in order to be able to progress. Regarding my nutrition, I also applied different strategies with the same principles as my training, which was based on observation, adjustment or modification towards my goal. Each nutrition program evolved in sequence during the whole preparation and my goal was to gain lean muscle tissue without the unhealthy and unnecessary fat tissue deposits. By selecting my calories from the right sources as well as having the right ratio proteins/carbohydrates/fats and the appropriate amount of daily calories I was able to do this. 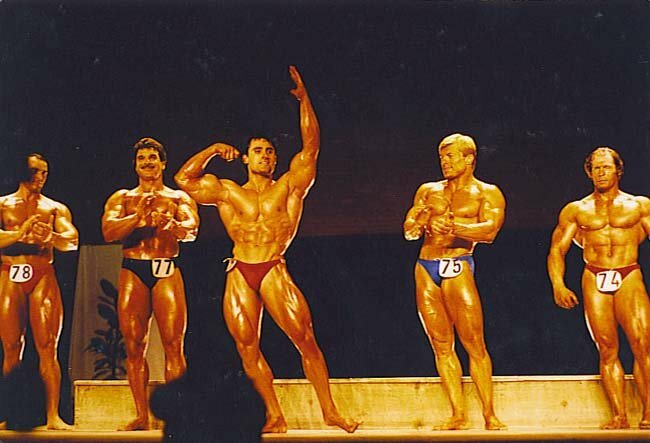 Also, to respond more completely to your question I will say that in the late eighties I prepared for a contest like any other pro bodybuilder. Today, using the A.R.T SYSTEMTM I do a specific preparation created for myself toward a specific goal like for instance exhibitions or competition or pictures. I simply do what everybody&apos;s suppose to do which is to have a personal and individual preparation based on personal observations. [ Q ] In Australia you presented a physique that had the nice lines and classic symmetry you are known for, but with additional mass. How would you explain the gains you made in muscle mass? My choice of maintaining a bodybuilding lifestyle helped me to start with a good shape for the Australian contest preparation. I never stopped training and looking after myself since I started bodybuilding in 1974. I never abused anything, therefore my body stayed in good shape on a daily basis. I didn&apos;t experience a huge difference in size or quality muscle; therefore I can progress at a normal rate. For instance, in my training all year around I am close to my best muscle performance. I prepared this Grand Prix in seven months using every single day to make a difference somewhere in my training or nutrition, always perfecting my preparation or making sure everything was appropriate and efficient. I was fully dedicated and committed to my preparation and I believe that my knowledge and experience gave me an edge. I was flexible and I changed quickly what was not working after observation and kept what was good. My approach was to have positive results with appropriate strategies, using different training methods, which were suitable in particular circumstances to continually improve and progress towards my goals, which were to do the best comeback ever at 48 and to reach my full potential. In Australia at five foot six inches I weighed 200 pounds and was the most conditioned athlete onstage. 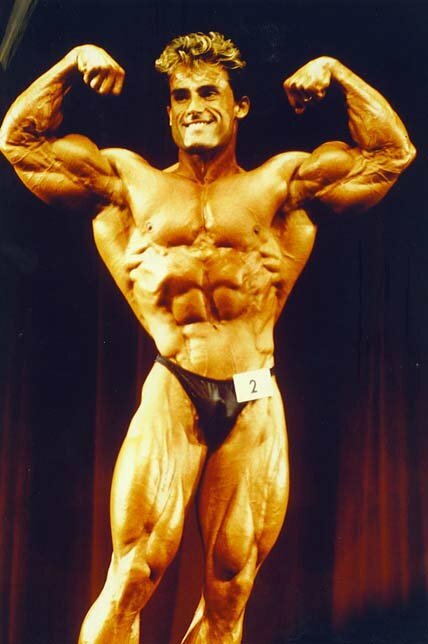 [ Q ] Your best placing to date as a professional was 6th at the 1990 Mr. Olympia. Do you consider this to have been your best year as a pro? Why/why not? Yes definitely it was my best year for many reasons. For instance I was very excited and confident in preparing for this specific Olympia because it was a very challenging one with the drug test issue. I saw an opportunity for me to win this Mr. Olympia title; numerous rumours came even to France telling that a few competitors will not enter the show because of the drug test (all of them came back in top condition 1991 Mr. Olympia). I was accustomed to drug testing. As an amateur in 1986 and 1987 and was tested and found to be negative and was in top condition, but I was aware that a lot of good amateurs got disqualified and were unable to reach their top condition with the drug test. Knowing that, it was not an easy task. Because Mr. Olympia was, and still is the highest competition, I suspected that some professionals would fail the test; some would not be in their best shape while the others, who relied mostly on chemicals, would be waiting for next year. I was right and that was exactly what happened at the 1990 Mr. Olympia. 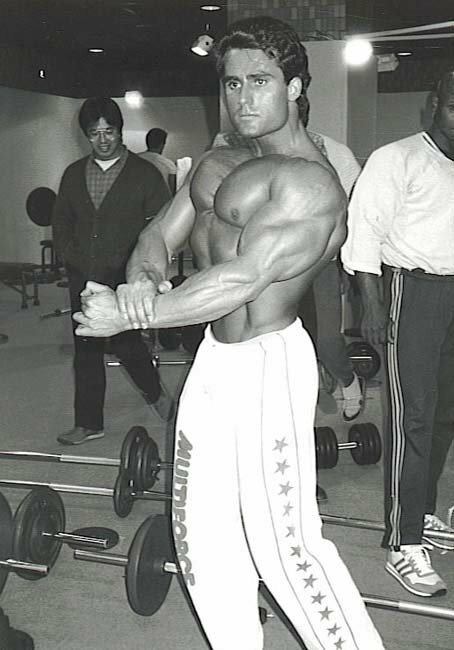 In fact all the top five pros - Lee Haney, Lee Labrada, Mike Christian, Shawn Ray and Rich Gaspari - were far from their best shape. Six pros were tested positive and some pros did not enter this year. Backstage Mr. Joe Weider took the Mr. Olympia Sandow statue and the medal and asked his personal photographer, Mr. Bob Gardner, to take a few pictures. Joe told me: next year it&apos;s for you! Yes right! But in 1991 the drug test was cancelled. Because of the impression I made on that day, Joe offered me a two-year contract with the Weider Company. I got a lot of exposure and publicity and money in 1991 and &apos;92. Joe even designed a label with my photo on it to promote his Victory line of products. I lived in Venice California and met Arnold at World Gym as well as a lot of other famous and interesting people. I was part of the Weider Team of Athletes and I did seminars, exhibitions, work-shops in Campus, shot the Weider Video which they have put into DVD format, got a lot of covers - mostly for Muscle and Fitness and Flex Magazine which you can see on my website www.francisbenfatto.co.za. So yes, 1990 was my best year and I am still proud today to have accomplished something quite unique at this unforgettable Mr. Olympia. 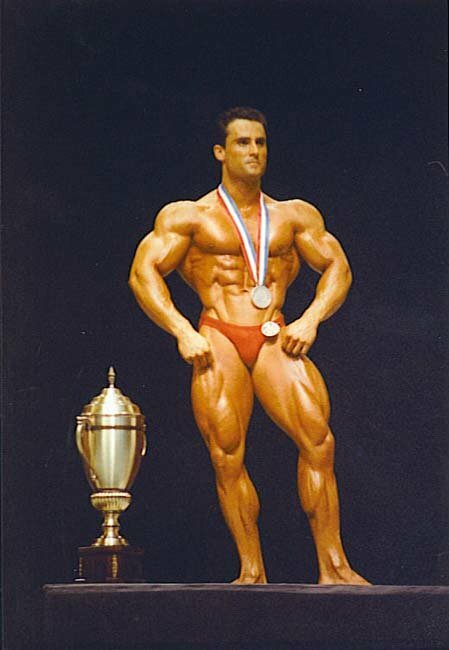 [ Q ] In the 1992 Mr. Olympia you placed 15th and have said it is your worst outing at this contest yet. Were you disappointed more with the judging process or the shape your brought to the stage? 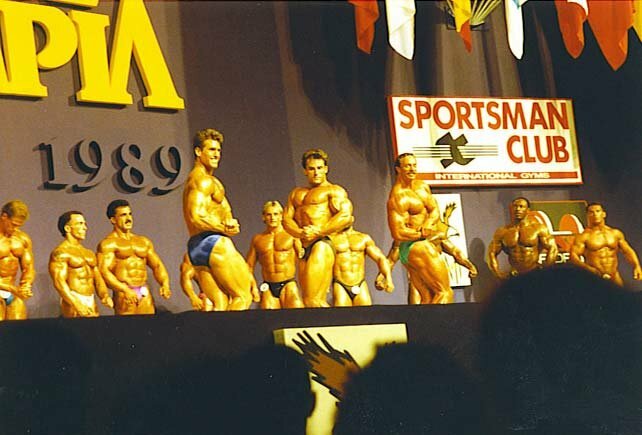 After the 1990 experience I did compete in &apos;91 and placed seventh in top shape which was a good place considering the athletes competing that year at the Mr. Olympia. In 1992 I admitted I was off and did not have the same faith. My ethics didn&apos;t match with what bodybuilding became anymore. From these days, most of the professionals seemed to have abandoned the ideal of the perfect human body for the obsession of size. My goal was to represent the values of bodybuilding, which I felt was an aesthetic body with symmetrical lines, well proportioned, deeply striated muscle on a small frame, a creative posing routine and a good look. So yes I was disappointed with the judging process already since the 1990 Mr. Olympia. Obviously I did not prepare for the 1992 Mr. Olympia like I did before in 1990 and 1991. I was not motivated at all and I was sad knowing that the judges were looking for something I did not have and I did not want to have. I did compete in &apos;92 Olympia because I was obligated to, being under contract with Joe Weider! The irony of the story is that Ronnie Coleman came 16th that year, one place behind me. 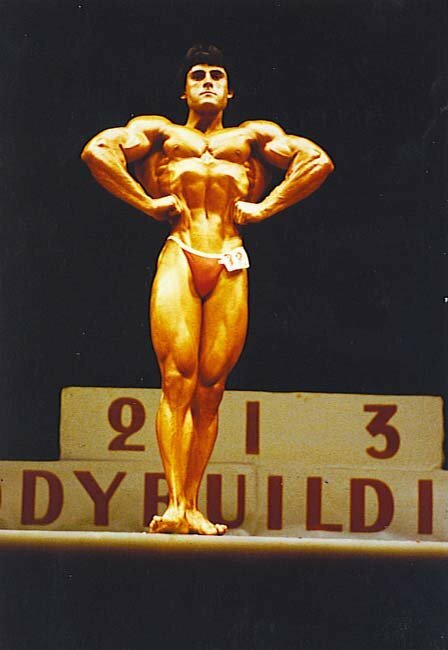 [ Q ] Why did you decide to retire from bodybuilding after the 1993 German Grand Prix? Well I did the Mr. Olympia four times, the Arnold twice, the Night of Champions twice, the Iron Man and the European tours with five Grand Prix events. I became the best European professional in 1989, 1990 and in 1991 and was competing as a middleweight around (80 kg) 175 pounds defeating bigger and heavier bodybuilders because of my aesthetics and conditioning as well as my stage presentation. Considering the level of all of these competitions I entered, I did very well and like I said above, I knew that the judges were looking for something I did not have. Also why compete if your chances of winning are slim or non-existent? [ Q ] After your success at the Australian Pro, are you planning to compete again? If so, when will this be? At the Australian Grand Prix I was in my best shape ever, presenting to the judges and the audience the overall best condition onstage at 200 pounds against 175 pounds when I was competing in the nineties. I was representing again the values of bodybuilding, which are not what the judges are looking for in Bodybuilding Competitions. I was placed sixth behind Branch Warren who was out of shape on that day I must say that unfortunately I don&apos;t plan to compete anymore but I will definitely come back in top shape to do exhibitions, training pictures and DVD&apos;s to educate and teach people how to train and get in shape. Vince Taylor, Branch Warren & Francis At The Australia Prejudging. I will also write articles for magazines and bodybuilding websites like I am currently doing now for Flex Magazine and Bodybuilding.com, showing my way of training or preparing others for show&apos;s with this new and revolutionary bodybuilding training system: the A.R.T SYSTEMTM. [ Q ] Being involved in bodybuilding for so long now, what lessons have you learned along the way as far as building muscle and getting ripped are concerned? I learnt that everyone is unique, therefore he or she must have individual and personal training and nutritional programs towards their goals based on their muscle performance in strength, power, endurance and so on. I learnt to be flexible in my training and nutrition approach to be able to correctly modify and perfect programs to get the best progress. I learnt the hard way (I tore my right pec) that the overload system is not the only way to build muscle and cardio training is not the only way to burn fat. I learnt that my weak points were not irreversible when I understood that they should not be trained like my strong points, but instead should have appropriate training methods to allow them to progress. In fact, my legs were my major weak point and they started to grow when I noticed a lack of strength of endurance. Therefore I used specific training methods towards endurance of strength to increase specific muscle performance in this area, and then I was able to progress. [ Q ] Tell me more about your new nutrition company, Benfatto Nutrition. BENFATTO NUTRITION was officially launched in July 2007-07-07. The initial product-line is being rolled out with several more products currently in development, be released soon. For instance, this new and effective product (Energy Express for Strength & Mental Focus!) Will complete the LINE. All BENFATTO NUTRITION products are tested for melamine content utilizing the advanced science of near infrared and each product contains certificates of analysis certifying them as melamine free. Even if it&apos;s a much more expensive way to test, it&apos;s worth every penny. Because my concern is to sell the highest quality products (or not to sell at all), products that really help people, to support intensive training and to obtain the best possible results. As well as having original, but effective, products unique to BENFATTO NUTRITION! [ Q ] What makes you the perfect person to engineer effective supplements? My personal knowledge and experience as a professional bodybuilder. My personal knowledge as a coach working with average, normal people and bodybuilders and athletes will serve as a guideline to create and develop only original supplements which will give my fans and consumers satisfaction. Each individual BENFATTO NUTRITION product is first tested and approved by me before being released, like I did with the first one. Like I said before, I am living a bodybuilding lifestyle which keeps me always in good shape and therefore I am the perfect candidate to test and elaborate my own supplements through observation, verification and reaction. Examples: I am training with specific product like KRE ALKALINE or dieting with FURNACE or building lean muscle mass with BEEF-PROTEIN. I tested some specific products while under contract with several companies when I was preparing for competitions and to be more accurate also I do have some expertise and skill to know if a product is working or not. People can trust me to know the difference between a good and bad product. I was approached from doctors and chemists, especially in California, and they asked me to test some specific products like Creatine and fat loss products because they knew me and trusted my input, my feedback, and my observation to help them. I have written supplement articles for magazines and books since 1991. [ Q ] What else are your doing with your life these days? Besides working at branding BENFATTO NUTRITION WORLD WIDE since July 2007, and working with potential distributors that I select personally to ensure the international success of BENFATTO NUTRITION, I am currently writing a new training system - namely the A.R.T SYSTEMTM based on strength and bodybuilding principles that had evolved throughout a number of decades until the present time. The A.R.T SYSTEMTM auto-regulation-training is self-regulated in respect to the discipline and the fundamental principle of personalization. Dr. Rene Meme developed The A.R.T SYSTEMTM in 1988. I personally met Dr. Rene Meme in 1990 when I was preparing for the Mr. Olympia and we developed together the A.R.T SYSTEMTM. I am also writing training articles for worldwide and local Magazines as well as for Websites. I do personal training with average people, bodybuilders and I coach sports athletes. I enjoy doing, on a regular basis, horseback riding; mostly promenade in the natural environment. [ Q ] What do you feel your main bodybuilding strengths are? My knowledge and experience gained with my long-term career (almost 35 years). Though I am still learning on a regular basis and I am flexible. [ Q ] You have competed in several different eras (&apos;80s, &apos;90s and 2006). What has been the best era to compete in and why? 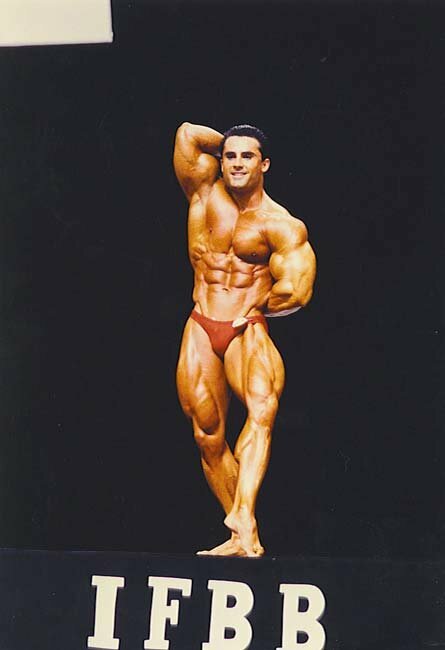 I feel the late &apos;80s, early nineties was my favorite because each bodybuilder had a different look and personality and posing presentation was an important aspect of bodybuilding. The conditioning was also important, giving the chance for a smaller bodybuilder to be in a top position. Today even if you are in better condition than a huge bodybuilder, the huge one will win because bigger is better. Quantity is better than quality. 1986 World Amateur Middle Weight Division Tokyo. 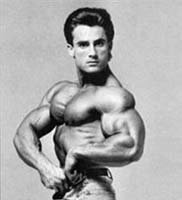 [ Q ] what changes have you noticed within bodybuilding since you competed in the 1980s? Today bodybuilding represents mass over symmetry, bulk over definition, and quantity over quality. Before the compromise was more the criteria. The total package should be the winning combination of size, proportion, symmetry, definition, density, aesthetics, with a good look and good stage presentation. [ Q ] How would you explain your longevity as a bodybuilder? I believe my genetics, a good life style of eating healthy, not drinking alcohol or smoking cigarettes helps, but mostly my personal approach while doing contest preparations, which is based mostly on training and dieting, not drugs. I never abused anything and I did everything in moderation. Alcohol&apos;s Effects On Body Fat. Many people enjoy alcohol&apos;s sedating influence and use it as part of our society&apos;s traditions. Here I&apos;ve put together details about alcohol and will explain main concerns. I chose to do bodybuilding because I enjoyed training, not because I wanted to build a freaky body to win shows and to make a lot of money. I wanted to look like Frank Zane in the early eighties, but was not sure how I would achieve his level. I reached my goal and represented this aesthetic type of bodybuilder, which was achievable for me. When I finally reached my full potential I was 48 with 33 years of training behind me. It took me seven years to win Mr. France and I weighed 145 pounds (67 kg) in 1982 and seven more years to do my first Olympia at 175 pounds (80 kg) in 1989. I completed my whole professional career as a middleweight. [ Q ] It is incredible to think that you are 49 years old. What are your secrets to staying youthful? I train every day early in the morning. I do 45 minutes mostly combining three exercises in a row to keep the articulations and tendons intact and to avoid training too heavy. I want to be able to train at 60, 70 and why not at 80 years old. With this principle of individualisation from the A.R.T SYSTEMTM I am able to have effective training sessions without relating only on the overload system, therefore having access to various types of training methods to stimulate my muscles in efficient ways all the time, keeping myself in good shape without a lot of strain or demands from the body and the nervous system and using appropriate effort. The A.R.T SYSTEMTM combines all training methods, all exercises including technical ones, training techniques, weight ranges, machines, pulleys and muscle performance aspects like strength and power and with this flexible approach I can keep myself in good shape and train my body in an efficient and healthy way. Training with form, strict style, along the line of pull and feeling the muscle working. Therefore I train with pleasure too, which is a good component to staying motivated over the long term. I can&apos;t imagine training only for results, as I like to enjoy the process too. I drink plenty of water during training, and stretch each muscle during rest periods. I eat four clean, solid meals a day and two protein-shakes, one after my first training and one before bedtime. I don&apos;t overeat and I control my appetite. I avoid junk food. I take anti oxidants and B-complex with my last meal. First thing in the morning I take three capsules of Energy-Express with warm water, which are Chinese herbs to improve my energy and stamina. I alternate periods of work with periods of rest. Because I wake up early I have an afternoon nap when needed. One of our top heart surgeons and cardiologists here in Cape Town ran a test on my heart out of curiosity, because I&apos;ve been training for so many years. They were interested to know whether the training was taking a toll on my heart and they were very surprised to learn that my heart was in normal condition and of a normal size. "Like a 27 year old," they commented. 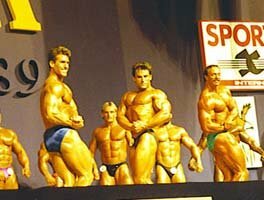 [ Q ] What has been your greatest bodybuilding moment and why? I will say during contest preparation and living the process of getting in shape, improving my muscle performance from a low level of strength or endurance to a high one, having more muscular control, overcoming weak points, progressively getting bigger, harder and more refined and, finally, experimenting with the mind and body transformation that motivates me far beyond competing. As well as preparing a posing routine with the best possible choreography and experimenting the end results on stage in front of the judges and the audience. [ Q ] What do you like most about being a bodybuilder? Being a bodybuilder keeps me in physical and mental shape because of the rules I have to follow in daily, basic life. For instance, training with form, eating healthy and taking supplements to recover. Being a bodybuilder releases my anxiety and gives me balance and peace. Being a bodybuilder keeps my body young and healthy. Being a bodybuilder requires living a good lifestyle and is an alternative to ageing. [ Q ] Who would you like to give thanks to for their assistance throughout your career? I would like to thank three people: in particular, Adele, my lifetime girlfriend, Rene Meme, my lifetime friend and Joe Weider. But also all the others close; people who helped me throughout my career like my family, my friends and fans with their feedback and encouragement. Always train with form and make bodybuilding your lifestyle!